The Aspire ZC Series' capacitive 10-point multi-touch display with its edge-to-edge design enables smooth touch control.1 Thanks to the anti-fingerprint coating1, you'll see clearer with fewer fingerprints and smudges on the screen. 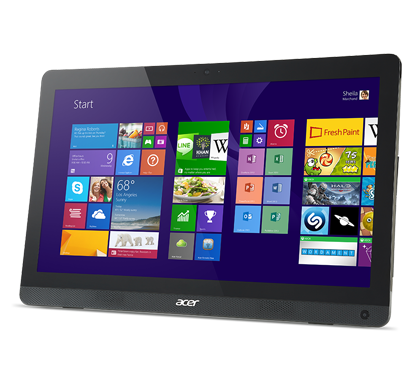 Acer Touch Tools1 takes full advantage of the touch capability by providing more accurate, intuitive touch experiences. 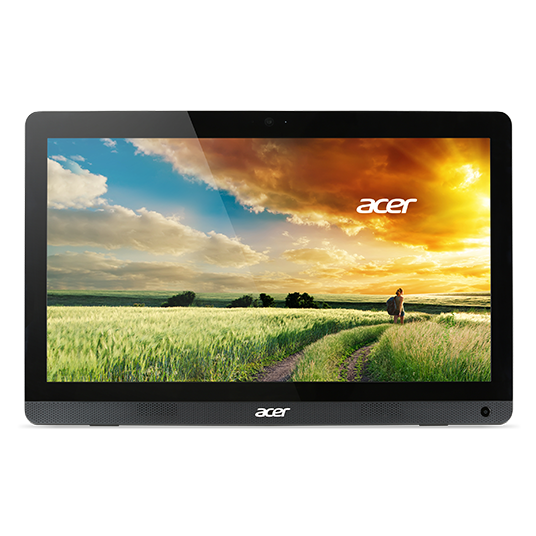 The Full HD webcam1 on the Aspire ZC Series lets your family and friends see every detail for crystal clear communication. 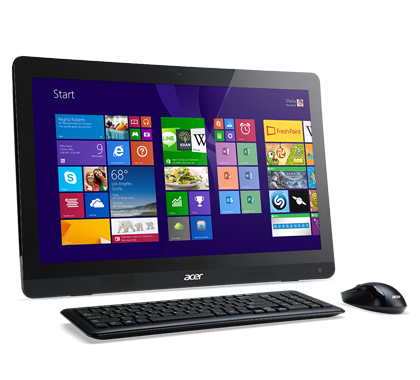 Unlock fun entertainment from Acer Games and experience it all on the 19.5" HD+ display for the ultimate visual experience. Hear sound the way it was meant to be heard over front-facing hi-fi speakers supported by Dolby® Digital Plus™. 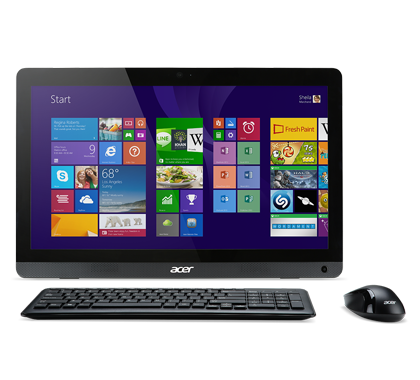 This amazing audio combo on the Aspire ZC provides smooth, balanced sound for great cinematic experiences. 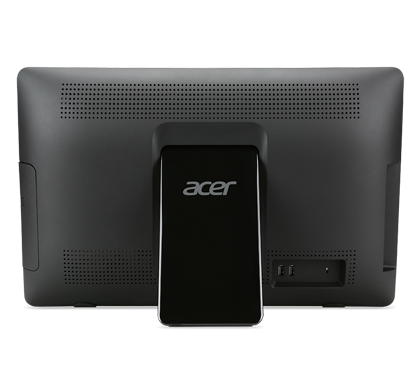 Plus, you can play songs from your mobile devices on the Aspire ZC's speakers via Bluetooth®1 pairing. Say goodbye to tangled cables and a cluttered desk. 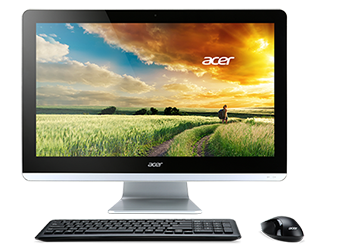 This all-in-one has everything you need yet produces a small footprint, giving you more free space than a typical desktop PC. 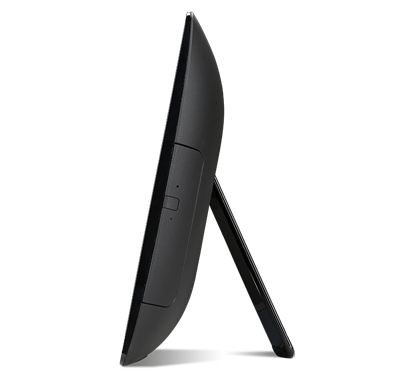 It incrementally tilts from 10° to 30° allowing you to choose the most ergonomically comfortable view. 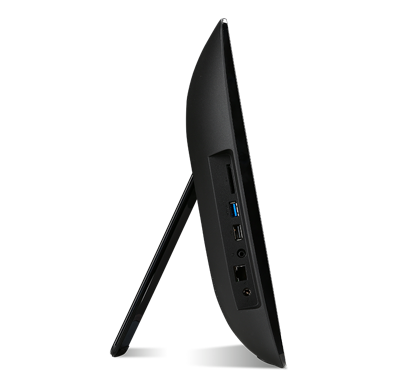 Designed with ports on the front and side,1 accessing the ones you use most is a breeze.